I’m currently sitting in a hammock at a hostel on the precipice of the White Mountains in New Hampshire. With less than 400 miles left, it’s hard not to think about how close we are to the end. 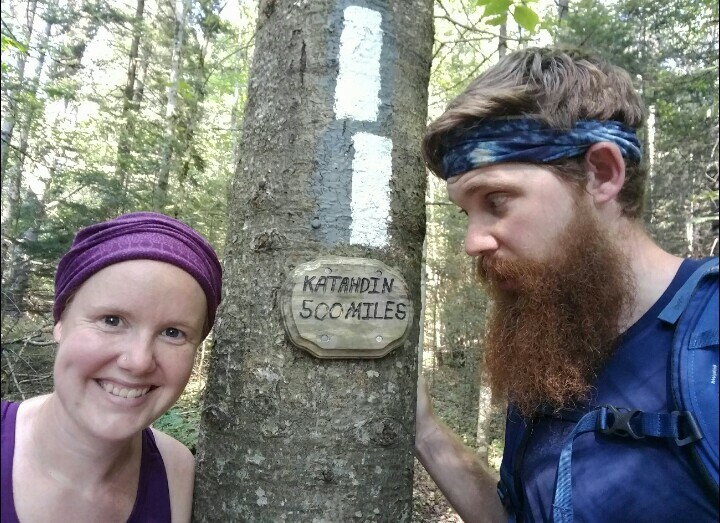 It’s a subtle shift, but we’re all starting to talk about it: logistical plans for the 100 mile wilderness, transportation plans to get home, and our victory pose on Katahdin. We’re starting to whisper and dream that we might actually be able to do this thing. For the first time, success seems within reach. And I’m ready to be done. These feelings aren’t the same as the “I’m miserable and want to get out of here” from earlier this summer. I think I’ve actually become pretty accustomed to trail life. I don’t hurt as much as I used to, and I like the simplicity of life. I love the trail community and the people I’m meeting. Everyday the landscape becomes more rugged, wild, and breathtaking. I don’t want to quit. I’m just anticipating the next phase of my life. I miss my family. I miss the luxury of being able to do nothing on a lazy rainy afternoon. I long to be clean and comfortable again. Sometimes while I’m hiking I have long vivid fantasies about piling every article of cotton clothing that I own on my bed and rolling my myself up with them in my comforter like some kind of giant freshly laundered burrito. These things will come in due time. This is something I have struggled with my whole life and it has absolutely nothing to do with the trail. I’m a very goal oriented person, which has allowed me to be successful in school and work. When I set my mind to something, I can get it done. The problem with this mindset though is that when I’m near the end of one goal, I’m looking ahead to the next. Ultimately I end up feeling unsettled and discontent. In college I thought, I’ll just be happy once I get in to grad school. In grad school it was, I’ll just be happy once I graduate and start working. Then it was I’ll just be happy once I get to the AT. What next? I’ll just be happy once I buy a house, have kids, get my dream job etc… when does it end? Don’t get me wrong. I’m a very happy, positive person. I love life. So it’s not so much happiness that I’m looking for. Its contentedness. A couple of weeks ago I hiked to the top of Stratton mountain in Vermont. In addition to the stunning panorama at the top of the fire tower, this location is of note because this is where Benton McKaye was inspired to create the Appalachian Trail. As I summited, I wondered if I would be struck with any profound inspiration as well. I didn’t have long to ponder though. When I got to the top of the tower I could see a distant thunder head making its way quickly toward me. After doing a 5 second 360 to take in the view, I climbed down to start heading off the top of the mountain. We had 2 miles to the bottom and where we were planning on tenting, so I said goodbye to my group, who are all significantly faster than me (and who didn’t need to get stuck in the storm because I’m slow), and faced my inevitable doom of hiking in a thunderstorm. The circumstances dictated that I should have been miserable. It was the end of a long, high mile day. I was tired and my feet ached. The sun was setting and on top of it all it was starting to rain so I was going to go to bed wet. But hiking that two miles alone gave me time to think. Think about trail. Think about the end. The start of what’s next. Normally in that moment I would be craving my tent or wishing for a hotel. Wishing for home. But here I was hiking in the rain, in my own solitude, and so terribly content to be there on that lonely, coniferous mountainside. I felt so at home and at peace on the trail. Then it struck me: Why can’t I always feel this content? It wasn’t deeply profound, but it did make me realize how much I tend to live my life in the future. So in that moment I decided I would strive to be more content for the rest of this hike. To be more present. I feel like I always sum up these posts with some kind of new insight into the trail or myself and how that’s changing me. I can’t say that is the case this time. Everyday I can’t wait to be done with the trail. I daily fantasize about reaching Katahdin. Maybe I am the anywhere but here girl. Without some degree of restlessness and wanderlust I never would have come to the AT in the first place. But I am trying to be content being just me, on the edge of the White Mountains. 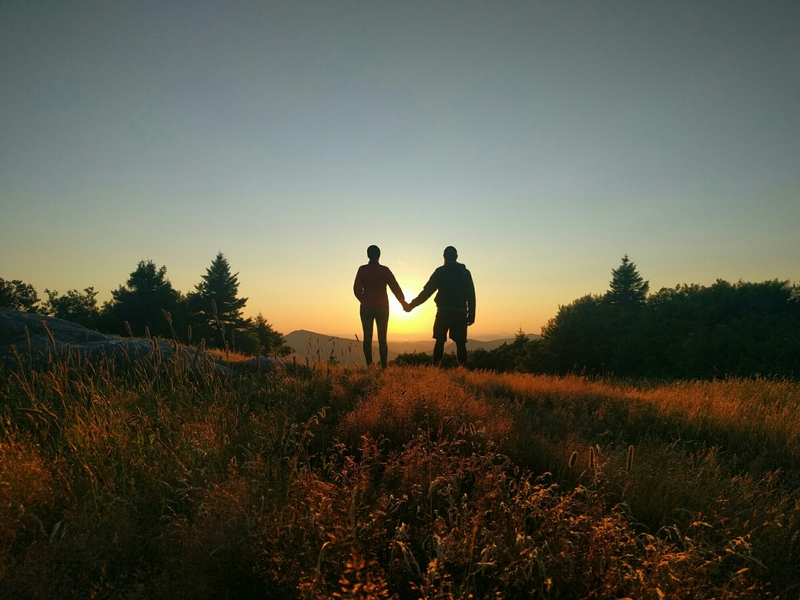 That is THE MOST BEAUTIFUL photo of you two holding hands in the sunset!